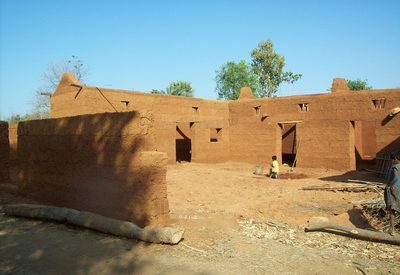 Stacked earthen construction that uses clay-based soil in the form of a cohesive paste. The material is first kneaded and then shaped into large balls, which are either stacked (piled) on top of one another or thrown forcefully onto the wall. A layer is left to dry before adding the next layer to build up walls. It is not rammed after placement, as with Rammed Earth. It is possible to build very thick walls (thickness varies from 40 to 200 cm) using this technique. 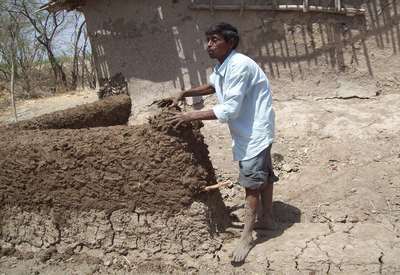 The earthen mixture may contain fibres, usually straw, grass, or twigs, but that is not an universal practice. 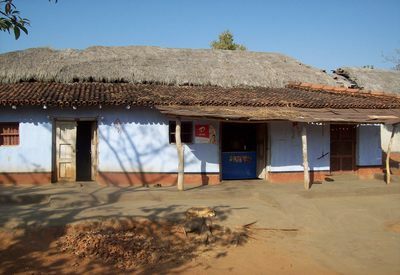 Straw is often used as an additive for cob wall construction in Europe.